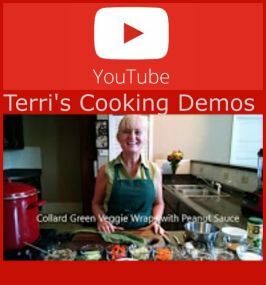 Rather than waste all those veggie scraps–leek greens, cabbage cores, green onion tops, carrot tops, zucchini and squash ends, broccoli stalks, ugly potato pieces, etc.–why not make your own vegetable stock from scraps? Saves money and you know exactly what’s in there. 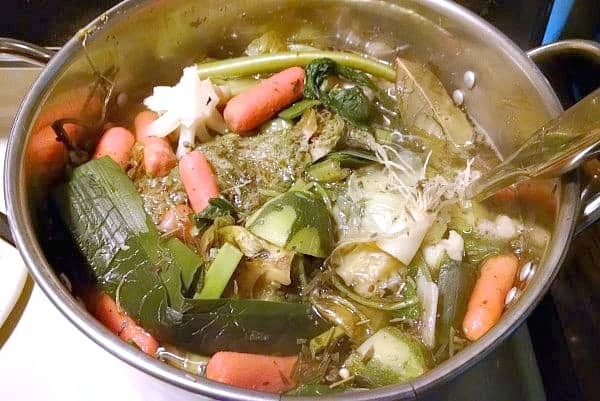 Instead of throwing out those scraps, use them to make veggie broth. During the weeks, as I’m chopping veggies, I save all the scraps in a gallon size freezer bag and keep them in my freezer. Below is a bag I just started with baby carrots that were on the verge of going bad and the outer leaves of Napa cabbage that had those brown spots on them. 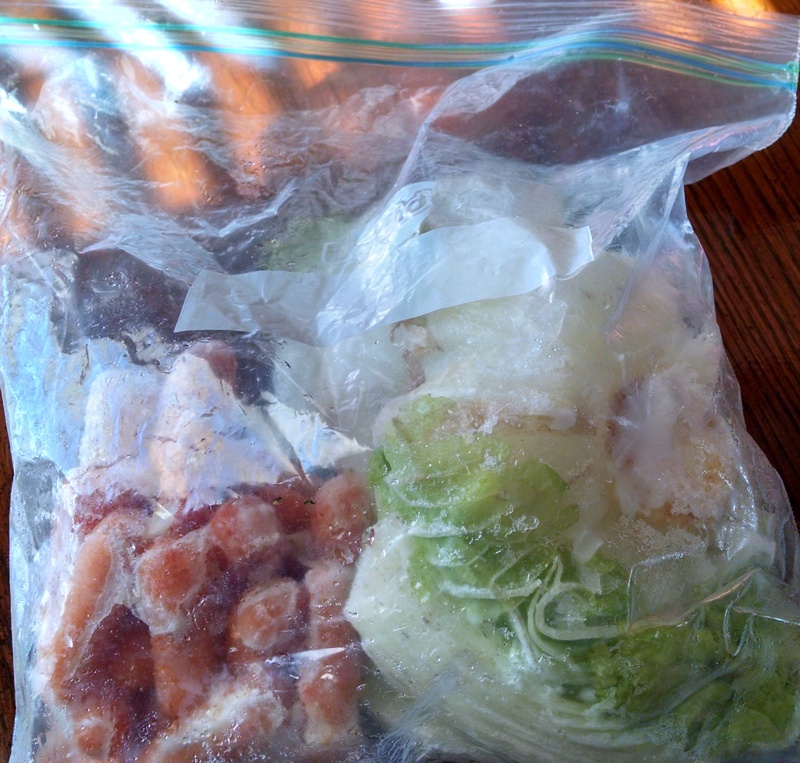 Collect scraps and store them in a gallon-sized freezer bag until needed. There are many different flavoring options to choose from. Use whatever spices you like, but remember, so it can be used in many different recipes, don’t get too crazy. Bring to a boil, then turn heat down to medium-low, cover, and let simmer for 30-40 minutes. Allow to cool, then strain out veggie scraps in a colander and large bowl. Another great idea is to do this in a CrockPot and allow it to cook on low all day. 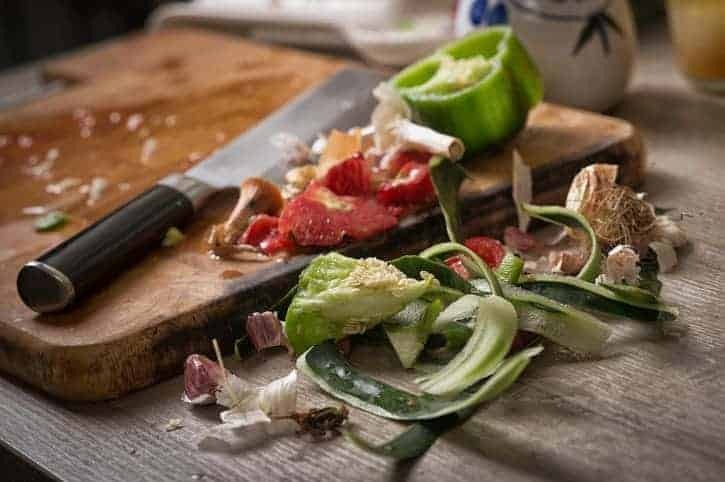 Strain veggie scraps from broth and discard the cooked scraps. Pour into mason jars and keep in the refrigerator and/or into quart-size freezer bags to store in freezer. 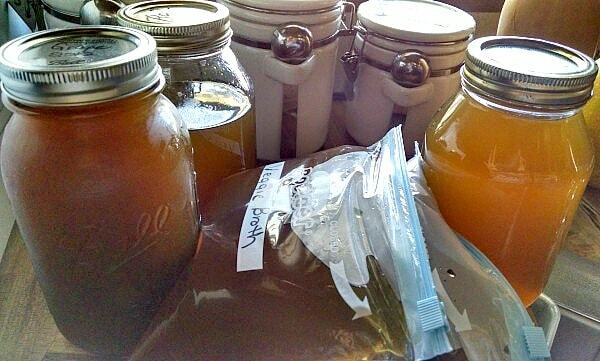 One batch makes 4 quarts of broth, so I usually pour into 2 quart mason jars and 2 quart freezer bags. 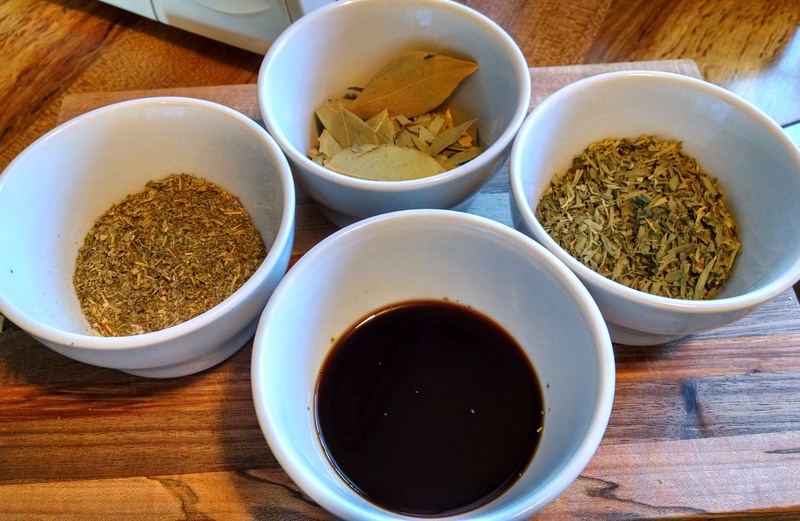 I use this broth for many purposes, and add salt and more seasonings while I’m cooking, depending what I’m using it in. Store in mason jars and/or freezer bags. Ice cube trays can also be used, if you would like to be able to pull out approximately 1 Tbsp at a time for sauteing. Just pour the veggie stock into trays and freeze. 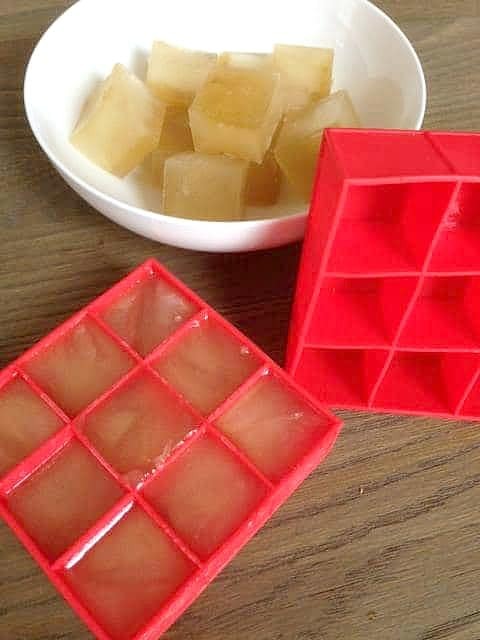 When they are solid, pop the cubes out and store in a freezer bag for easy use. So simple and handy! An ice cube is about 1 Tbsp of veggie broth. 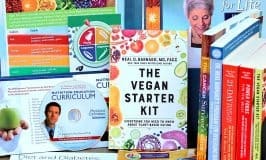 I love the idea of not wasting scraps and making my own stock! Saves money, and I know exactly what’s in my broth, unlike the bought brands. Place all frozen veggie scraps in large stock pot or crock pot with water and spices and bring to a boil. Turn heat down to medium-low, cover, and let simmer for 30-40 minutes. Ice trays are great for freezing 1 Tbsp portion sizes. Making your own veggie broth is easy and saves money. The strained out veggies are then thrown out after? Or can they be used as fiber for let’s say, muffins or blended in spaghetti sauce? I toss mine out after making broth. Not sure they would do well using afterwards. Should I be worried about making sure these pieces are very clean if I am using them for this purpose? 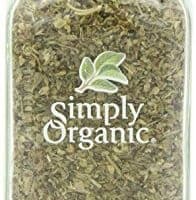 I buy organic product for the most part. Yes, I would still make sure they are clean for making broth. Organic is great! Would you use the pulp from juicing vegetables? Straining would be a pain, but a good use if you juice occasionally! Sure! The pulp would make good broth too. You’re right that straining might be a pain, but the flavor and nutritional value would be the same. I also dislike wasting all the stems and ends and cores of veggies. 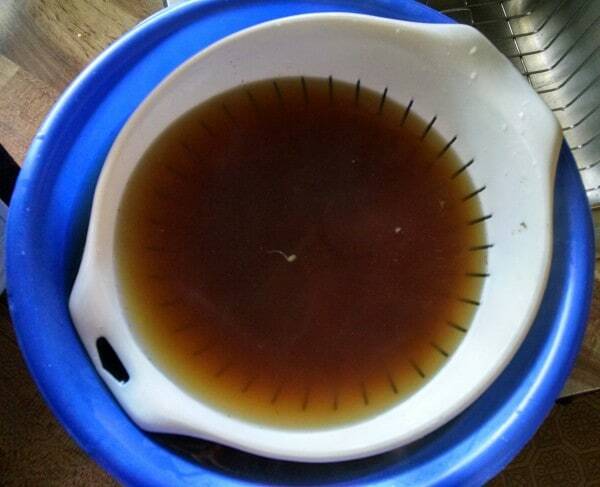 I have no way to compost so saving for broth is the next best option…or maybe it’s the first best. 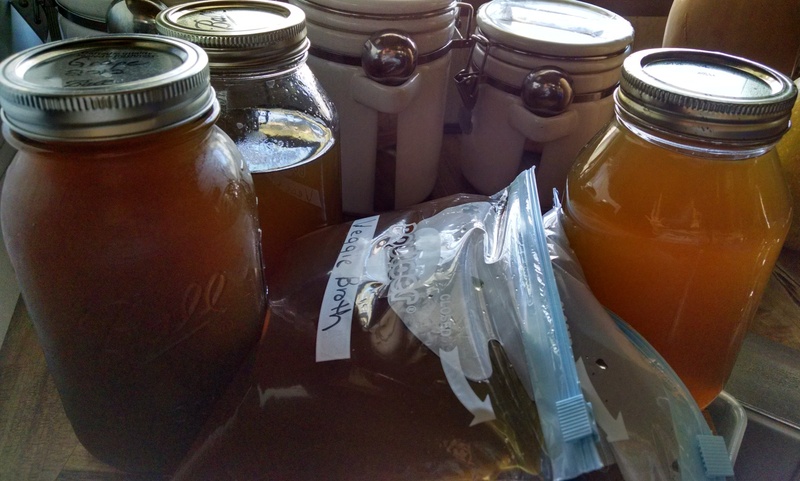 I make broth every month or two and since I have a pressure canner I bottle it up into pint jars and process it so it is shelf stable. Usually end up with 10 quarts total. Is there anything that you wouldn’t put in? I know some people use onion peel amongst other things. Will anything taint the broth or put the taste off? Kirsten, I wouldn’t use the outer skin (brittle part) of the onion. Other than that, I can’t think of any others. I am seriously going to do this! 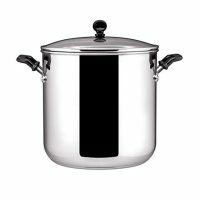 How much water should I put into the pot, though, to be able to have 4 quarts after it’s done? 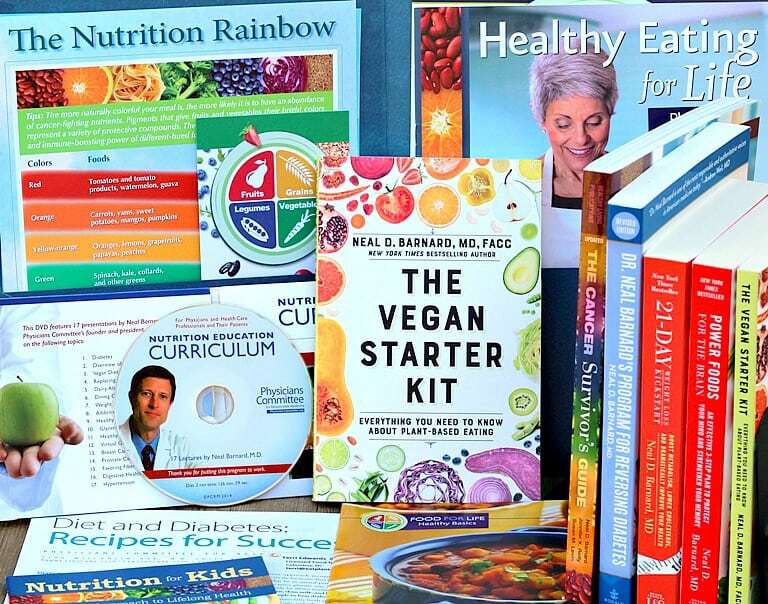 Thanks for all your work – I have been following your blog (newsletter) and facebook for a while now and love it! 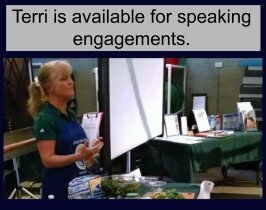 Hi Jennifer, I put approximately 5 quarts in the pot for veggie broth. Thanks so much for following!